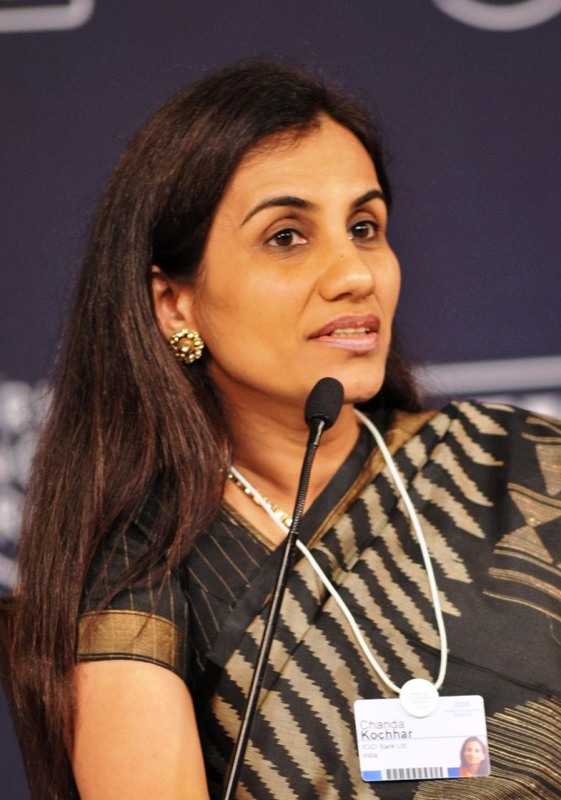 Fortune Magazine has been ranked Chanda Kochhar, the ICICI Bank MD and CEO as the most powerful businesswoman in India for the third consecutive year. She began her career as a management trainee in 1984 and successfully rose through the ranks. She has been named a ‘Woman of Power’ by the Asian Business Leadership Forum.Also She awarded the Padma Bhushan by the government of India for her services to the banking sector. The magazine said “Whether it’s heading the Indian operations of an energy multinational or the world’s largest coffee chain, women are getting more visible in India Inc”. Yasmine Hilton- Chairperson Shell India; Vanitha Naraynan, MD- IBM India; Anita Dongre, Founder- Anita Dongre; N Bhuvaneswari, Vice Chairman and MD- Heritage Foods; Ashu Suyash, CEO- L&T Investment Management and Awani Saglani Davda, CEO- Tata Starbucks India are the 6 new entrants among the 50 most powerful businesswomen in the Fortune list.